Pariyakorn Sartthatip, public relations manager at Chiang Mai Orchid Hotel announced new cooking methods at the hotel. Chiang Mai Orchid’s Food and Beverage Department is eager to use only vegetables without insecticides, taken from Pakarsit garden, a project initiated by the edict of Queen Sirikit. This agricultural scheme is accomplished for the sake of protecting soils and water resources from getting spoiled by the application of insecticide and for the safety the consumers’ health. Some of the examples of the special menus free of insecticides and available at the hotel are fried Chinese vegetable in oyster sauce, fried vegetable, ‘chedi thong’ (golden pagoda in Thai) with shrimps, fried vegetable called ‘kao ha’ in oyster sauce and plenty other menus of tasty dishes, waiting for customers to savor on, every day at their Phu Ping Chinese restaurant. Modern medical treatment can reduce trauma fatalities by 50 percent, but this needs specialized trauma centers, with staffing 24 hours a day, seven days a week. Realizing this need, especially with the increasing road toll in Chiang Mai, the Chiang Mai Ram 2 Hospital, on the Chiang Mai-Lampang Superhighway, recently opened its own 24 hour trauma center. 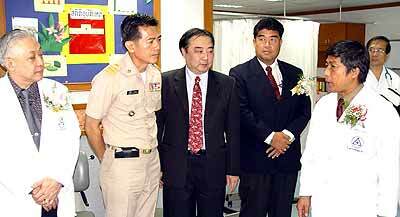 Prinya Panthong (2nd left), Chiang Mai deputy governor, presided over the opening ceremony of the trauma center. He is shown here talking with a medical doctor during the ceremony at the hospital. To be able to utilize these facilities it was necessary to put together an emergency medical team to go straight to the accident site and institute life-saving treatment and then rush the injured to their trauma center. Dr. Saengroj Pradabkaew, the senior surgeon, said that accidents are one of the main causes of death in the community. However, since the trauma center has been put into action, in the past 3-4 months, the survival rate for accident victims has increased by 50 percent. More than 150 guests were present for the official opening of the trauma center, with Prinya Panthong, Chiang Mai deputy governor, presiding over the opening ceremony. One of the pleasures of crawling around Chiang Mai on an evening is the discovery of a venue you’d known for years, but has gone through some kind of metamorphosis and is now, in some ways, brand spanking new. Just recently, one of my Chiang Mai favorite places has done just that. The jamming band at the Sax Music Pub. Sax Music Pub (aka SMP) is located on Moon Muang, near Thapae Gate, owned and operated by the dynamic duo of the lovely Pim and her co-professional Rudi. SMP is a regular sort of place with pool table, music and cable TV doing competition for the bar’s customers. There’s a long bar, from where Pim regally welcomes one and all. The front is open to the passing crowd, with music blaring welcome and the usual group of well wishers quaffing pale ale under a summer moon. So what’s so unusual you ask? Well, feast your eyes on the walls for one thing. There’s art on them. And what art! These are no peaceful scenes of Northern Thai landscapes, or back-street views, nor hill tribe vignettes. No, these are different. The painter is Rudi and he is on a different wavelength. Look at the paintings now. What strange faces are these? Denizens of another planet? Here, a horse-headed floating thing, there, a faceless naked woman with trident floats serenely by. What is going on? On the wall at the back a large grinning face, with swirls of energy all around. Rudi has been painting for years and has finally found a level where the paintings begin to speak for themselves. Here are no empty gestures, nor beautiful vague intent, but something that greets the viewer with wonder and soft invitation. But wait, there’s more. There is of course upstairs. This is completely new; the atmosphere the reverse of below. It’s all midnight blue and silent twinkling. 3D glasses, by the trombone lamp at the head of the stairs, invite the acolyte to don them and view paintings in day-glow colors on the walls near the crocodile counter. What? More madness! Yes, more whimsical pictures, fantasy creatures, but none of them threatening at all. They seem to float a welcome invitation. But hurry and sit. The band is beginning; the jazz-fusion combo, once known as Jam Rock is about to play. There’s Rudi at the keyboards. He’s the one with the bald head who looks like some kind of Chinese monk, or that Kung-fu guy with a paunch. The musicians mill around, doing their things with notes and wires. Then the music begins to gel. One instrument takes the lead. A theme appears. The others take up the vibe. A wind instrument flies ahead, banners high. Base guitar follows along, weighing anchor. Keyboards sound the stars. Drums drive them on. The evening rides the music waves of chance. Perchance a sitar meanders by, or a different music vortex comes in to play. The music crescendos, - pauses, - transits. Another instrument leads the charge, the others follow. The music swells and grows, like storm waves cresting on a high sea, or dolphins at play. Once again the music peaks, there is a growing fullness. Pressure’s great. What next? Musicians’ eyes meet, a smile uncurls, a pause, a wink. Feel the vibe. Hmm! A little night music in old Chiang Mai. The official opening of the cultural fountain show performance, the ‘River of Friendship’, was at the Ping riverbank in front of the Chiang Mai Municipal office on April 2. The Tourism Authority of Thailand (TAT) launched the performance as the largest event ever in the northern region in celebration of the Thai New Year festivities (Songkran). Countries in the Greater Mekong Sub-region (GMS) also celebrate Songkran and were included in the aquatic show, including Myanmar (Burma), Cambodia, Laos, Vietnam, and Yunnan in Southern China. 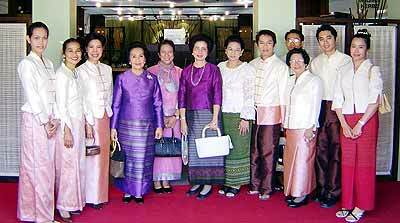 To promote unity in the GMS, a borderless unity was shown on stage, united by the Mekong, the River of Friendship. 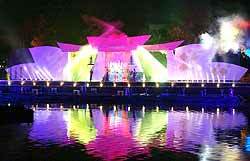 This spectacular show can be seen nightly at the banks of the Ping river until April 15th at 8 p.m. 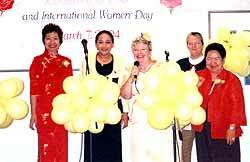 The Zonta Rose Day activities were well patronized in Chiang Mai, with over 40 participants (and not all of them were women). The Zonta Rose Day festivities were held at the beginning of March this year and included the candle lighting ceremony to honor women around the world in their efforts to promote individual rights and fundamental freedom for women and girls. Through the integration of the Zonta commitment to the United Nation’s sponsored initiatives for women, it is their objective to strengthen the work being done to advance the status of women throughout the world. The convention hall at Chiang Mai University (CMU) will be the venue for the first World Congress of Holistic Medicine in Thailand from April 23-25. The Suchada Marwah Center and the International Academy of Natural Science will host the event and bring together delegates from around the world. Holistic medicine has its emphasis on the person as a whole, including analysis of physical, nutritional, environmental, emotional, social, spiritual and lifestyle values. 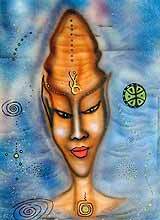 Holistic medicine focuses on education and responsibility for personal efforts to achieve balance and well being. Topics of the congress go from ‘anti-aging’ to ‘yoga’ and the congress will not be restricted to delegates. Everybody is invited to sit in on keynote speeches or take part in the workshops. Other topics include the secrets of gem therapy, timeless wisdom for today-Ayuverda; Herbs, the magic healers; Energetic healing, How to avoid toxins in our daily lives and similar topics. Natural treatments for cancer - Michael Culbert, American, co-founder, president and chairman for ‘freedom of choice’ in cancer therapy. Children and Allergies - Dr. Sundardas, a researcher into the mind-body-biochemical causes of chronic illness and wellness. Aromatherapy - Dr. Jongkochporn Phinitaksorn, the director of Aromathology at the Osmology School in Bangkok. She is specialized in the field of aromatherapies, having extensive knowledge of herbs, their selection and distillation process and the therapeutic use of essential oils. 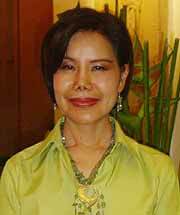 The art of sliming - Dr. Anchulee Yongarnukul, a medical doctor, and bio-energy practitioner. She will focus on fast food and what people can do to regain back their slim figure without the yo-yo effect. Specialized topics will include another look at Diabetes, Sport, Detoxification and Feng Shui the ancient Chinese method to align our surroundings to attempt to have a more prosperous life. 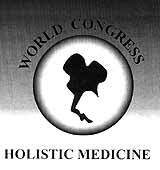 The World Congress of Holistic Medicine is supported by the Tourism Authority of Thailand, the Ministry of Public Health as well as other world institutions. The new branch of Siam Spa Health and Beauty opened last week, under the management of the Ampai Institute of Hair Design and Beauty. Operating from Hillside Plaza and Condotel 4 on Huay Kaew Road, Chiang Mai it provides spa services and therapist courses for both Thai and foreign therapists. Ampai Sheehan, the managing director of Ampai Institute of Hair Design and Beauty Spa. Siam Spa offers various spa courses including oil massage, traditional Thai massage, sensitive skin facial reflexology, hand and feet treatment, aromatherapy spa pedicure, hair treatment, mineral spa facial, eye lashes permed, and wax depilation of legs, underarms and bikini line. Apart from its comprehensive spa services, Siam Spa also provides spa-training course to produce therapists to service the growth of the local spa industry. This also includes a 200-240 hours spa supervisor course. Siam Spa is offering a 10,000 baht discount on spa training courses from now until May 31. Concerned with the spa tourist industry in the province, Ampai Sheehan, the managing director of Ampai Institute of Hair Design and Beauty Spa, said that she has plans for a spa association and worked in cooperation with public health officials to set the standards and inspections of spa services in the city following the burgeoning of the number of outlets. “Many shops, which mainly provide massage or other forms of beauty treatments incorporate the word “spa” even though they do not have any real spa services,” said Ben Wongthong, assistant manager. Spas and health related issues are playing an increasingly important role in the northern region. What used to be only golf for the men and shopping for the ladies is now heavily assisted by relaxation and the pampering of stressed bodies. It has nothing to do with the phrase, “It’s in to be seen at a spa,” and has more to do with people’s realization of the benefits of taking better care of their bodies and minds. Spa owners are enjoying their new success, and are also seeking out new venues to promote their services. Spas are even making inroads into the OTOP market, as can be seen here by the Thai Lanna Spa Association’s booth in the OTOP promotion at the 700 Year Anniversary Sports Complex, which was visited by Dr. Jao Duan Dueng na Chiang Mai.